Management Systems and Business Consultants (MSBC) LLC is able to offer wide range of professonal services in the area of business process analysis and consulting; design, implementation and auditing of management systems; trainigs etc. Using the reach expertize of our consultants and auidtors we can provide you the best solution for the stability of your business. Risk management framework compliant with the requirements of the standard ISO 31000. We provide you the expertise of our consultants and auditors certified by leading international professional bodies (International Register of Certified Auditors - IRCA, Professional Evaluation and Certification Board - PECB). The rich experience of our experts is based on their active participation in over 75 management systems projects. Business continuity management systems (BCMS) in compliance with the requirements of the standard ISO 22301. Our out-sourcing services provide professional recommendations on a regulat basis to the top management to keep your management system operational, well maintained and improved according to the requirements of the specific standard. Our company provides different types of management system audits (initial compliance audits, periodic internal audits, topic specific audits, second party audits etc.). The audits can be conducted against the requirements of the specific standard (ISO/IEC 27001, ISO/IEC 20000, ISO 22301, ISO 31000) or against specific criteria provided by you or your partners. We can provide you professional vulnerability assessments and penetration testings performed by qualified expert – Certified Ethical Hacker using the best practices in this area. Our company provides a wide range of specialized IT audits for your organization. 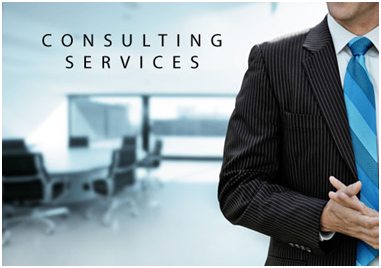 Our consultants have a wide experience in business process consulting: risk assessment; business process evaluation, re-engineering and optimization; practical implementation of best practices in different economic sectors.